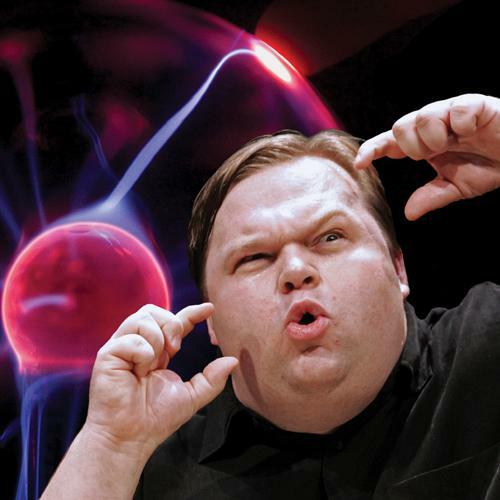 Mike Daisey is well known for his hilarious monologues, but he’s kept his radio career secret – until now. For the first time ever in its 114-year history, THE GREAT AND SECRET SHOW will be made available for a live studio audience in The Greene Space and to viewers at home via webcast at thegreenespace.org. This unprecedented opportunity to witness three new live productions of the heretofore clandestine radio programme will take place on March 12th, April 16th, and May 12th at 7:00 pm. Launched in 1896 at the dawn of radio and still transmitted via Tesla Oscillator today, the programme was designed exclusively for Masons of the 3rd Order and higher. Long assumed to be the stuff of conspiracy theories,THE GREAT AND SECRET SHOW is in fact the world’s longest continuously broadcasting radio programme. Though only heard by a small number of individuals throughout history, those Secret Masters have been the movers and shakers who have shaped the world as it is today. THE GREAT AND SECRET SHOW features a blend of Mr. Daisey’s masterful and poignant storytelling with news and interviews with the newsmaking people of our day: bold adventurers, scientists (mad and otherwise), wayward princesses, dashing rogues, and other colorful figures of Our Society. The show covers the latest discoveries in cryptozoology, telluric currents, and advances in both steam and electrical technologies, presenting them in a manner both accessible and informative. Expect trenchant analysis, penetrating wit, and social critique both acid-tongued and whip-smart. Now, at long last, the programme beloved by the Secret Masters will be shared with the world.